Built as a Palace of Pleasure, Home House retains the ornate and friendly feel it enjoyed in 1776 when it was built – a fortuitous, if unexpected twinning of the talents of James Wyatt and Robert Adam; two of the most respected architects of the day. Spark produced two double CDs for the exclusive private members’ club ‘Home House’ in London. After the success of “At Home House Vol. 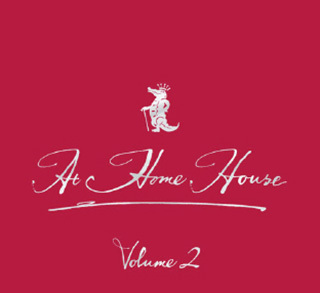 1” the second volume once again gave members and their guests the chance to savour the atmosphere of Home House in their own homes. The music is an eclectic mix from literally around the world. The 2 CDs are tailor-made to listeners’ moods: chilled out music can be enjoyed on disc 1: “Day Time”, and on disc 2 there are sufficient vibes to get anybody into a cocktail mood with “Night Time”. 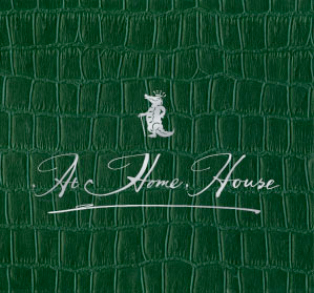 The luxurious “crocodile leather” packaging of Volume 1, inspired by the Home House crocodile mascot, was exclusively designed for the Club and hand-made in Italy. The packaging of Volume 2 was inspired by one of three colours that are used in the private members’ club’s branding. The booklet contained exclusive photographs and cocktail recipes. Spark compiled and cleared all tracks, designed the packaging and arranged manufacturing and delivery.